Our CloudAppCP control panel has been carefully designed for IT organizations of any size, from a simple one-man operation to a large international company. Our scalable cross-platform infrastructure allows you to create new fully deployable Virtual Machines in minutes on an enterprise-level cloud powered by cutting edge, industry-leading technologies from Cisco and NetApp. Colosseum Online Inc.'s network has been running since the beginning on the solid foundation of Cisco ASR and Catalyst technologies to provide full redundancy and multi-path routing. Multiple 10Gbps connections paired with top tier providers means your data will get to its destination in as few hops as possible. On top of that we have multiple Internap FCP devices that continually probe the network searching for any route changes or high latency issues and rerouting traffic automatically. We stand behind our facilities with a 99.999% uptime guarantee so you can be assured your virtual environment will be available whenever you need it. 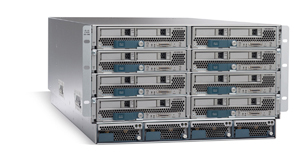 The Cisco Unified Computing System is the industry's first converged data center platform, the Cisco UCS delivers smart, programmable infrastructure that effectively delivers benefits and solutions that meet real business needs. With the ability to expand and scale on the go the UCS greatly reduces downtime and maintenance tasks. The centralized management allows transfer of resources so the UCS runs any workload on any server as needed. It delivers a flexible pool of computing, network, and storage access resources that can be allocated and reallocated as needed so you can be sure the resources you need will be there when you need them. EMC storage is utilized in the Colosseum Online Cloud environment to provide fast-access, tiered storage for virtual servers and applications that require high disk performance. Using the power of solid state disks (SSD) as a fast-access cache creates a fast and powerful solution for high demand disk I/O operations without all of the cost. From demanding database applications to social media apps our partnership with EMC has given the Colosseum Online Cloud the power to serve the most resource-intensive clients with the infrastructure to grow and perform to the highest standards. 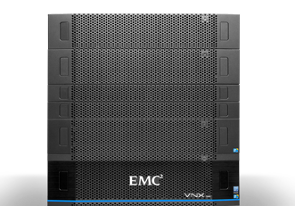 Colosseum Online Inc is also using the EMC VPLEX technology which provides data mobility and high availability across multiple disk arrays. VPLEX technology is designed to provide 100 percent uninterrupted disk operations by deploying next-generation data mobility and continuous availability with active-active information access. This means that the Colosseum Online Inc. Cloud platform can add an extra layer of protection from unplanned downtime coming from storage hardware failure. Our Enterprise level Storage Area Network (SAN) provides the highest quality disk space available today, the feature rich storage solution provided by NetApp allows us to confidently store all of your important files, databases, and more in a safe and secure manner. With RAID technology and Dual Controllers employed, hard drive failure is a worry of the past. Couple that with NetApp Snapshot technology that allows instant point-in-time copies of file systems with no impact to storage access or disk I/O, and even data loss or corruption can be recovered. Also implemented with the RAID technology we use the NFS protocol so reads/writes to the disks are delivered at blistering fast speeds providing your Virtual Environment with optimal performance for any tasks at hand.